These light-weight and lovely earrings measure a total of 1.5" from tip to tip. These delicate lovelies can be for dressy or everyday. 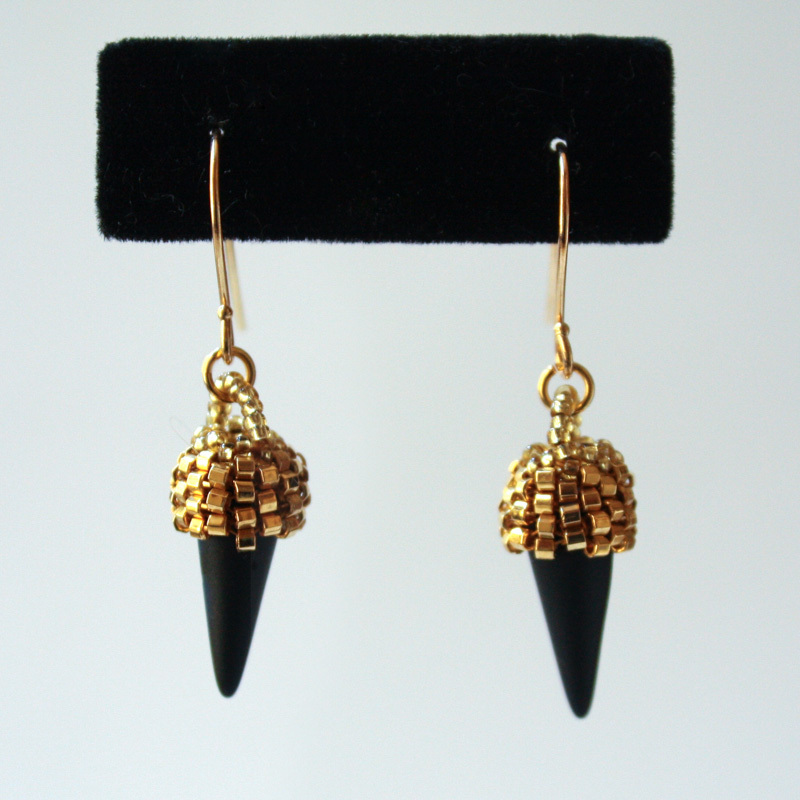 From the moment I saw them, I loved the Czech cones and knew that seed beads would add just the delicate touch to add form to function.